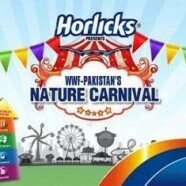 The Earth Watch Club has been invited to participate in WWF-Pakistan’s Nature Carnival. The event is going to be held at Race Course Park, Lahore on 26 January 2014. We are required to exhibit a 3D model. The theme assigned to Earth Watch Club is “Environmental Management Systems”.